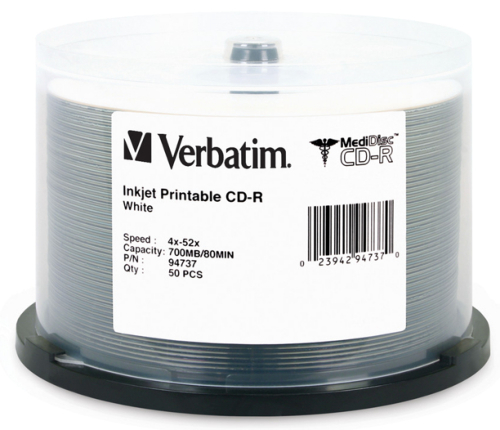 Verbatim 80-Min 52X MediDisc™ White Inkjet Archival CD-R’s White Inkjet (clear hub) As low as 85¢ each! 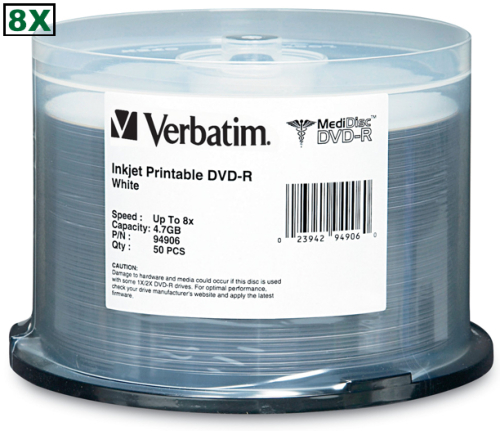 Verbatim 4.7GB 8X MediDisc™ White Inkjet Archival DVD-R’s White Inkjet (clear hub) As low as $1.15 each! 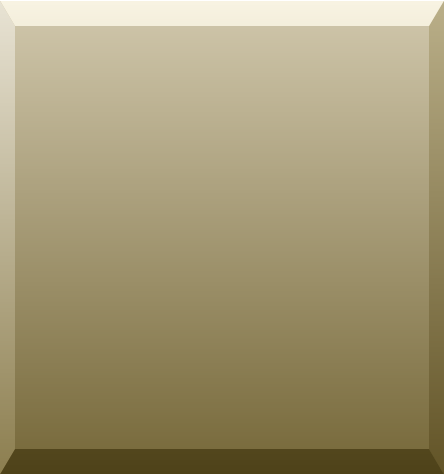 MAM-A 80-Min 52X Medical Grade Logo-top Gold Archival CD-R’s As low as $1.99 each! 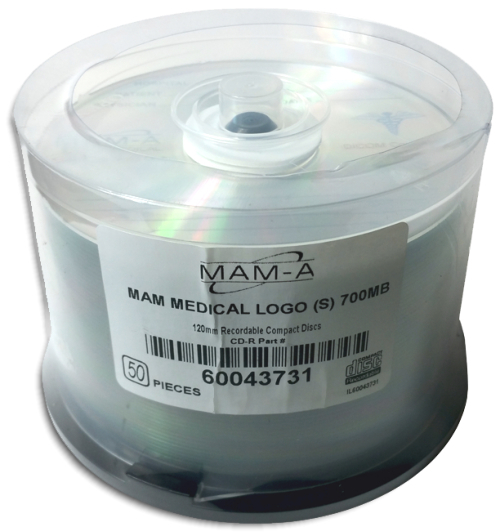 MAM-A 80-Min 52X Medical Grade Logo-top Archival CD-R’s As low as 79¢ each! 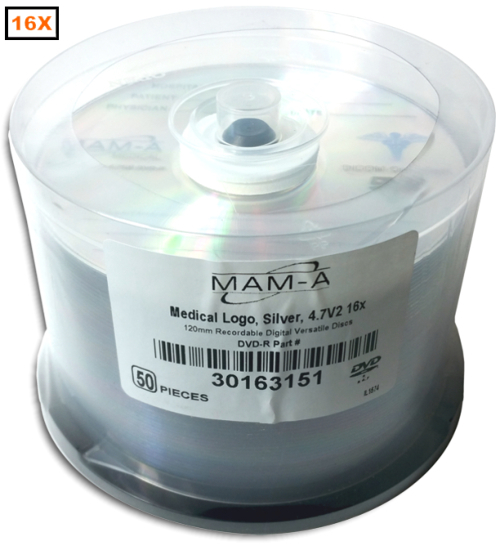 MAM-A 4.7GB 16X Medical Grade Logo-top Archival DVD-R’s As low as $1.09 each! MAM-A 80-Min 52X Medical Grade Custom Logo Gold Archival CD-R’s with Custom Digital Printing of Your Own Logo, 3-5 day lead time after proof approval As low as $2.19 each! MAM-A 80-Min 52X Medical Grade Custom Logo Archival CD-R’s with Custom Digital Printing of Your Own Logo, 3-5 day lead time after proof approval As low as 89¢ each! MAM-A 4.7GB 16X Medical Grade Custom Logo Archival DVD-R’s with Custom Digital Printing of Your Own Logo, 3-5 day lead time after proof approval As low as $1.19 each!